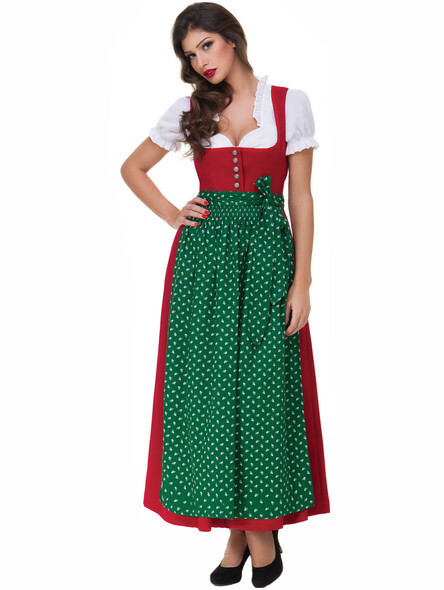 The long dirndl is probably the most traditional version of Bavarian costumes for women. In the past, maids and court ladies wore dirndl with a skirt part reaching the ankles. And even today this traditional long costume dress can still be worn. We´ll tell you why this beautiful dirndl is far from obsolete. 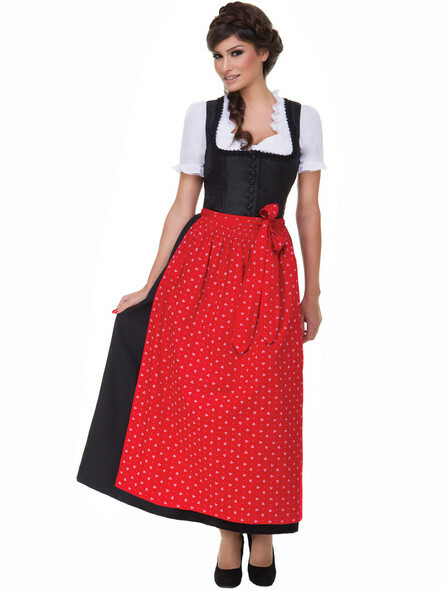 In contrary to other playful and girlish dirndl, our traditional maxi dirndl dress are particularly elegant and noble. And yet ? the tight bodice and the bold details give the dirndl a feminine look that doesn´t look at all conservative. Therefore, the dirndl dress is really suitable for every occasion. Whether you need a new outfit for the Oktoberfest or for the next wedding ? the long dirndl masters the festive look like no other. Not only that it never goes out of fashion but also that Maxi Dirndl are for every woman of all ages. What? You thought such a long dirndl was just made for the older generations? With its mixture of Bavarian authenticity and feminine flair, it also can be worn by young women. The long cut with the flowing skirt part creates an enchanting silhouette, despite potential problem areas. In our online shop you can browse through an exquisite selection of beautiful traditional dresses and buy or order them cheaply. No matter, if your dirndl should be black, blue, noble or modern ? they are all of high quality.